One of the best ways to improve your home is to paint it. Painting your home is a cost-efficient and highly effective way to improve its health and its appearance. At Premier Painting, our Boxford painting contractors strive to provide our clients with the highest quality painting services possible. Whether you're looking for interior or exterior painting services, wallpaper services, or even a handyman, you can always rely on us for great service and workmanship. Our painters are professionally trained and extensively experienced, so no matter what kinds of service you need from us, we'll always be able to provide you with the best workmanship possible. We know that your home is a vital part of the lives of you and your family, so we always take our work very seriously. We'll do whatever it takes to ensure that you're totally satisfied with all the services we provide. Give us a call today to ask any questions you have about our services, or to schedule your appointment with one of our house painters in Boxford, MA, and we'll be looking forward to working with you. Keeping your home in excellent condition is one of your biggest priorities, and our painting contractors in Boxford, MA provide high quality painting services to help do just that. Our painting services help you keep your home in the best condition possible while also keeping it attractive. We'll work with you directly to select the perfect colors, paints, textures, and finishes for your home and painting project. Painting your home's exterior can enhance it's curb appeal while also providing it with protection from weather and the elements. Interior painting in Boxford, MA can make your home's interior design more comfortable and more attractive. Our experts will be able to ensure that you get the highest quality work and the best materials possible. 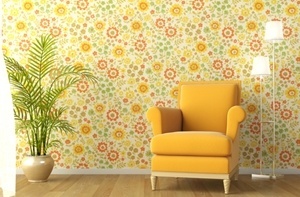 There are almost limitless options for wallpaper designs, so wallpaper can be great addition to any home. Our Boxford painters can help you find the perfect wallpaper for your home's interior design, and we'll provide you with the highest quality wallpaper installations possible. If you need to have your wallpaper replaced, or if you'd like to paint walls that are currently wallpapered, you can also rely on our professionals for high quality wallpaper removal services that will leave your home in excellent shape. "Bill Gilmore and his crew did a tremendous job painting the exterior of my home on Surrey Lane in Boxford MA in late June 2012. They were thorough and meticulous in every last detail around the property. What a pleasure to do business with a team where your expectations are exceeded! Always happy to be a reference for Premier Painting. Thanks again Bill." If you are looking for a reliable Boxford painting contractor, please call Premier Painting at 978-532-7788 or complete our online request form.